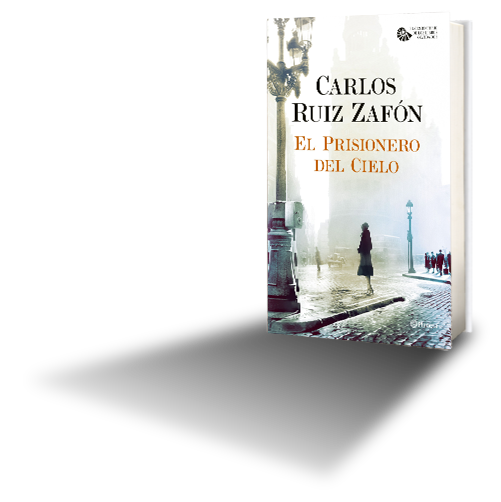 The Prisoner of Heaven by Carlos Ruiz Zafón. Barcelona, 1957. Daniel Sempere and his friend Fermín, the heroes of The Shadow of the Wind, return for a new adventure in which they will face the biggest challenge of their lives. Just when life seems to be smiling upon them, an unsettling character visits the Semperes' bookshop and threatens to reveal a terrible secret that lay buried for two decades in the city's dark memory. When he finds out the truth, Daniel will understand why his fate inexorably leads him to confront the biggest shadow of all: the one growing inside him. Bursting with intrigue and excitement, The Prisoner of Heaven is a masterful novel in which the plots of The Shadow of the Wind and The Angel’s Game converge in the magic of literature, taking us to the heart of the enigma of The Cemetery of Lost Books.